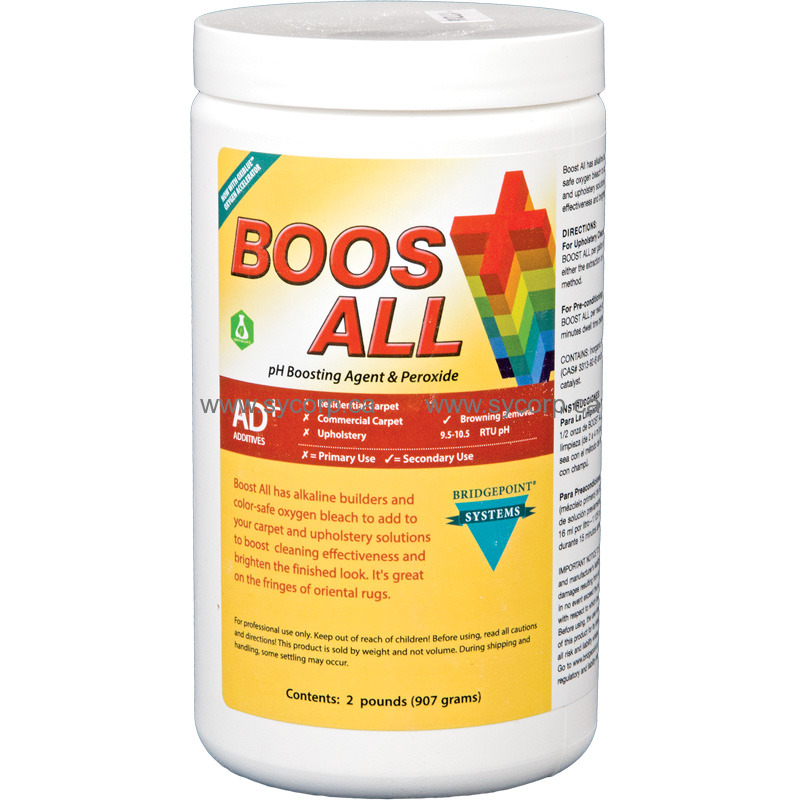 Boost All has alkaline builders and color safe oxygen bleach to add to your carpet and upholstery solutions to boost cleaning effectiveness and brighten the finished look. Boost All has been BOOSTED! Your favorite pH and oxygen boosting additive just got better with the addition of OXIBLUE™ Oxygen Accelerator, the proprietary hydrogen peroxide accelerator. Boost All is stable in powder form, but when mixed with water, OXIBLUE™ dissolves, comes in contact with peroxide and supercharges it! The result? Carpets get brighter, faster!